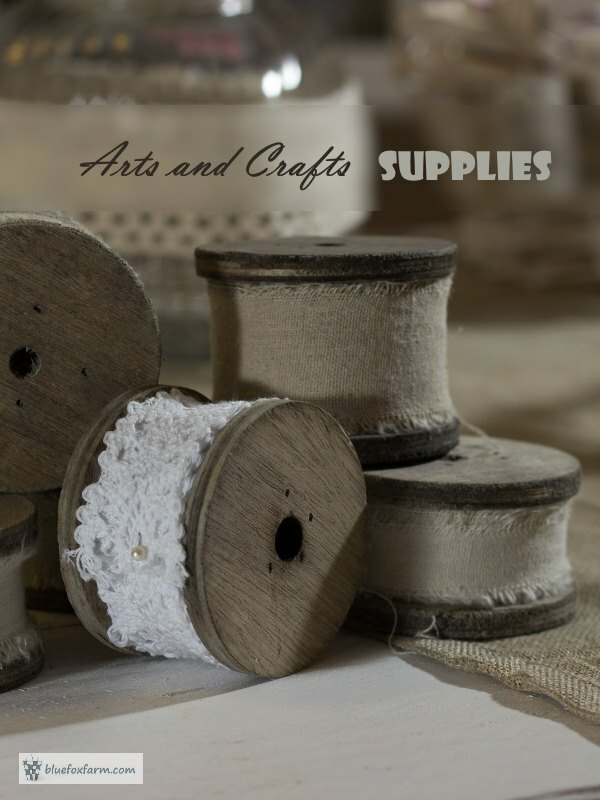 There are supplies for arts and crafts all around - just look! You don't need to buy new. There are many ways to stock up your diy hoard; gather intriguing natural materials, like twigs or driftwood, right in your own back yard or collected when you're on a hike or a walk. Take a bag to keep your treasures in - your pockets can get awfully full! Junk piles behind a neighbors barn are a treasure trove of cool old junk. You may go to flea markets to find great supplies, or browse at the local thrift store, or in auctions or farm sales. Yard and garage sales can be a source of a lot of unwanted crap, but occasionally you'll see a diamond in the rough. Keep your eyes open, think of the potential of something that's worn out and used up. The possibilities are endless, from making decorations from recycled dishes, to using junk to make a fun and funky wind chime. You will always need some new craft supplies; my go-to place is the dollar store in my town. They have acrylic craft paints, beads, glue and many other things that come in handy.